What is your vitamin D level? 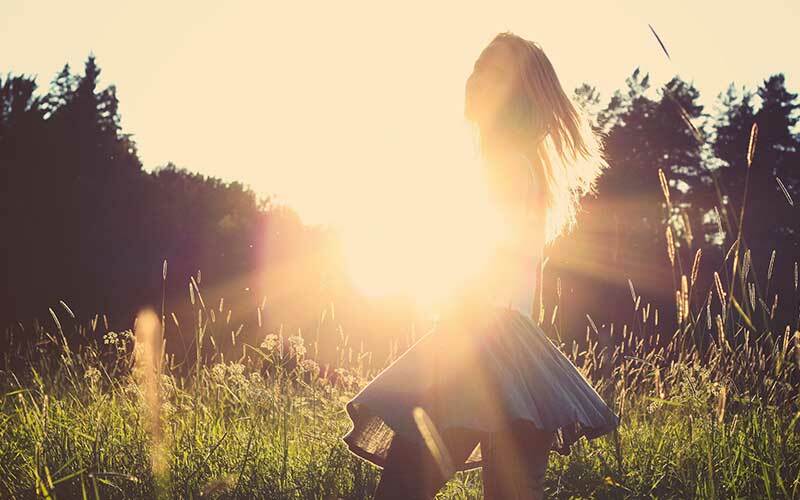 Could you have vitamin D deficiency? I'm going give you an overview of vitamin d deficiency symptoms and treatments. I'll also cover vitamin D deficiency effects and risk factors and more. Everyone seems to be talking about vitamin D lately. But what's the big deal? Why should you care about vitamin D? Well, I'll tell you why, because there are many consequences of vitamin D deficiency. One symptom of vitamin D deficiency is having a poor immune system or being sickly. You can also have muscle weakness with vitamin D deficiency. Other vitamin D deficiency symptoms are that you can have weak bones. There are some observational studies that show that vitamin D deficiency may be associated with fatigue, poor wound healing, hair loss. Vitamin D is a fat-soluble vitamin that is important in your body's absorption of calcium and phosphorus, which are both essential for bone health. But beyond being essential for bone health, vitamin D is also important for your immune system and for muscle strength. How do you get vitamin D in your system? Well, one way is through sun exposure. Yes, on a beautiful sunny day your skin can actually synthesize vitamin D from the sunlight. You can also get vitamin D through your diet, through foods like fatty fish, cod liver oil, cow's milk, and some vitamin D can be found in eggs, and then, of course, you can take vitamin D supplements. People who don't have enough sun exposure are at risk. So if you are a person who wears a lot of sunscreens, or if you always carry an umbrella to prevent sun exposure, then you could be at risk for vitamin D deficiency. People with darker skin with a lot of melanin in the skin are also at risk for vitamin D deficiency. If you are a person who is homebound, or bed bound like a nursing home patient, you are at risk, and people who live in cold climates where they are essentially indoors during all the winter months, and not out getting sun exposure. These people are also at risk for vitamin D deficiency. You are also at risk if you have an inadequate dietary intake of vitamin D. What happens if you don't eat fatty fish, eggs, or drink a cow's milk, and if you don't supplement your diet with vitamin D? Then certainly you can have vitamin D deficiency symptoms. You are also at risk for vitamin D deficiency if you are unable to absorb the vitamin D in your intestines properly. If you have Crohn's disease, then you are at risk, and if you have had a gastric bypass surgery, you can also be at risk for vitamin D deficiency. Patients with kidney or liver disease are at risk for vitamin D deficiency as well. Here's why. Both the liver and the kidney have enzymes which help to transform vitamin D into a biologically active form, so if you have kidney disease or liver disease, then make sure you check with your doctor for your vitamin D level, because you are definitely at risk for vitamin D deficiency. So how can you be diagnosed with vitamin D deficiency? Well, you simply go to your physician and ask for a blood test for your vitamin D level. A normal vitamin D level is at very least 30 nanograms per milliliter, but we actually prefer your vitamin D level to be greater than 50. You have vitamin D insufficiency if your vitamin D level is less than 30, and you have frank vitamin D deficiency if your vitamin D level is less than 20. In addition to sun exposure, and to increasing vitamin D in your diet, you can get vitamin D supplementation. The two most commonly used vitamin D supplements are vitamin D2, or ergocalciferol, and vitamin D3, or cholecalciferol. I actually use both of these types of vitamin D when I treat my patients in my practice with vitamin D deficiency. It depends on the vitamin D level, but one prescription regimen that I use for patients with vitamin D deficiency, is to give them ergocalciferol, 50,000 international units once a week for 10 weeks, and then I convert them to the vitamin D3, and have them to take 1,000 international units every day. This all depends on how well they respond to the initial vitamin D2, and it also depends on their risk factors. It's important for you to go to your physician to find out which vitamin D supplementation is best for you if you have vitamin D deficiency symptoms. For patients who already have normal levels of vitamin D, usually anywhere from 800 to 1,000 international units of vitamin D supplementation will be sufficient. And for children, usually 400 international units of vitamin D daily will also be sufficient, but again, depending on your sun exposure, the darkness of your skin, your genetic predisposition, and your ability to absorb vitamin D, this will vary. So make sure you stay in close contact and consult your physician. This ends my overview of vitamin D deficiency symptoms, treatment and risks. Let me know other topics you'd like for me to discuss in the comments below. I want you to please prioritize yourself. Be selfish sometimes. Take care of you, and do your best to live your healthiest, happiest life.